The big day arrived, I was sick with excitement and nerves with a long train ride ahead of me. Having checked and rechecked my case so many times to make sure I had everything that I needed, we were off. We booked into a lovely B&B in East London (http://www.cablestreetinn.co.uk/) our luxury felt like it had already started! We changed and set off for the palace. Poised with invite in hand, I stood very nervously outside Buckingham Palace gates waiting to be let in. Part of me still wondering if it was some sort of a joke, another part of me nervous and excited at the same time. The gates opened early and we were off, a huge line of people all crunched up the gravel driveway towards the courtyard. All chatting and taking pictures as we inched further to the gardens. I.D. checked, invites handed in and we were walking through the palace admiring the décor and furniture that adorned the vast hallways. Walking out through the doors to the back garden I was taken aback by how big and vast the space was. Tents erected at the side, bands playing in the distance, the royal tea tent facing you some distance away. We walked down the stairs onto the gardens. Turning to look at just how vast the palace was, it was hard to take in such splendour. We walked around the gardens, admiring the tranquillity and amazed that such a wonderful huge space was actually in the centre of London. Having walked around the gardens we headed for the tea tent, already queues had started to form. You are handed an oblong plate drinks were dispensed (I don’t actually like tea so had apple juice instead). The sandwiches were as I had read with the crusts cut off and thinly sliced cucumber were offered with egg mayonnaise and ham and tomato, along with a selection of delicious (if not tiny) cakes. The seating was totally inadequate for the amount of people there and unless you are lucky, or are the first through the doors then it’s a case of standing and balancing your plate, bag and possibly umbrella as you try and eat. In no time at all the lines seem to start to be made. I thought we would be behind some sort of barrier, but no we were just stood lining the route. As it happens we were stood in the Queens line. The national anthem started and the Queen and Prince Philip appeared on the steps that we had just walked down. It seemed a long time before the Queen reached where we were stood. Although I wasn’t one of the select few that were picked to speak to and shake hands with the Queen, I was so close to her it was amazing. I was taken aback by how dainty she was. She had a constant smile on her face and was talking intently to those that had been picked to meet her. She walked passed us so we went to look at the next queue. It is hard to know who is in what queue but it was worth a look anyway. It turned out to be Prince Philips queue. After seeing how dainty the Queen was Prince Philip was very tall in comparison. He too seemed very pleasant and chatted happily away to the guests. After seeing Prince Philip past, we went to line in the queue for another drink. The queue was much longer this time and the sandwiches and cakes selection had vastly shrank and they were even starting to close certain parts of the tents. We got another drink and went to see if there were any seats finally free anywhere. Having walked around and looked with no luck, we resigned ourselves to stand some more. We drank our drinks and walked around some more, many people were taking photos (which we were told would not be allowed) but no one seemed to be stopping them. It was an amazing day, one that I will remember forever. Even though I did not get to chat to the Queen (or Prince Philip or Princess Beatrice) it was still a wonderful experience. Walking out through the front of Buckingham Palace you are met by a barrage or tourists with cameras all poking through the gates, all thinking that you are someone of standing or even royalty and are snapping away with excitement that they have seen someone coming out of the palace. My tips for the day if you are lucky enough to be invited, wear very comfortable shoes, get your drinks (and food) earlier rather than later. Look around the gardens if you get chance. Try and get into roughly the right position in the line for the procession (read the map that’s sent with the invite and you should know roughly where you should be standing.) Most importantly enjoy the day; it seems to pass really quickly (although your feet are telling you otherwise!) There was never any queues for the toilets (although the disabled one did seem to have quite a lengthy queue so beware if you are disabled, I don’t know if there were any other toilets but the ones we went were just down the palace steps to the left behind the tea tents and there was only one disabled toilet there, hence the large queue). Have a great day and enjoy every moment of it. Whose making waves with me? Well I have been med free for 15 months now. I feel the best I have ever felt in my life. I see things in a totally different way now. Its really hard to explain to anyone that’s never suffered with mental illness just how you see things and how you view life, but I feel like I have new eyes, new brain, new feelings. I do not know if it is because I am no longer medicated so I am now seeing it through unmedicated eyes/numbed feelings, but it is a totally different outlook I have now. I look back on my past, all the pain, anguish, hurt, being, used abused and taken for granted, and I would like to think that that would never happen again. I like to think that I have ‘learnt’ that I am worth more than that, that I am worth as much as the next person. Yes I AM PROUD OF ME AND WHO I AM. Never ever thought I would say that let alone feel it, but after 45 years I can stand here and say that I truly am proud and happy, to be me. It hasn’t been an easy journey, as a lot of you may know, but I feel I have had that journey to help me move on to this phase in my life that is making me so passionate about helping others so much. I do not want anyone to have to go through the suffering of mental illness, but if they do, I want it to be a smoother ride than what I received. I want the services to be there to help them, I want them to be treat with respect and dignity and have their views valued. I know this might be a pipe dream to some, but I am determined that I will change services for those who have no one to help and support them in whatever way they need. I was once called a tiny fish in a vast river, yes that’s me and I’m proud to be fighting the water and waves. Im proud to be making those waves bigger just to get noticed. Its not easy, but hey after all I have been through, this is a piece of cake. So I ask again, whose making waves with me??? This is a blog about my website, it absolutely blew me away when I read it. Thank you so much to Tony, who saw one of my talks in Harrogate a few weeks ago. I think your the first person to ever render me speechless! · I thoroughly enjoyed your presentation and know the passion you describe very well from my work in health. My inlaws sang your praises before I met you today and they were so right . · Thanks Debs. It's great that you are so enthusiastic about sharing your story and your experiences. Meeting you the other day was inspirational and has given me real hope for the future. · Your gallery is amazing. You were a star in Harrogate. What a fantastic, inspirational day. I just wanted to say what a fantastic day in Harrogate this week we had. · You're an inspiration, Debs. · debs Absolutely agree. You're helping end the stigma by talking so thank you! · debs You look great Debs! And your story is so inspiring - just like the rest of #CreativeMinds ! 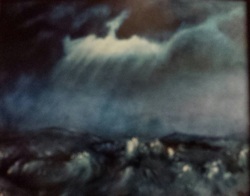 · debs was just looking at your art work on website; v distinctive/unique style, I like! · debs thanks, just need to bottle you and take it home! Having always had mental ill health from a very early age (8 was the first time I went to doctors with ‘nerves’) I feel I am as ‘qualified’ as anyone can be about mental illness. I wasn’t officially diagnosed until I was about 36, but all the signs were there. The classic mood fluctuations, the highs, the lows, the deep dark moments that gripped my body. It was the highs that caused the most disruption (the lows were classed as me being ‘in a mood’ or ‘feeling sorry for myself’) and I was often getting into trouble at school because of my hyper behaviour. It was just how I was. Today I might be classed as hyperactive on a high and autistic on a low, but the truth is I have bipolar and depressive disorder. I am now proud of who I am, its taken a long time to accept myself and my condition. It wasn’t an easy journey and not one that everyone will feel able to do, but if I can manage after all these years there is hope to everyone else. I was told I would be on medication for the rest of my life. who was I to argue with the psychiatrist, he is the expert right?? WRONG. YOU are the expert of your own mental ill health, just as diabetics are responsible for their own well being. I’m not saying that I am ‘cured’ I know I have bipolar and depressive disorder, but I can now manage it. I can finally feel like I have the control and it doesn’t have the control over me. So how did I magically get to feel like this? I became creative. I (by chance) saw a leaflet for an art for wellbeing class whilst sat in the psychologist waiting room for an assessment appointment. I thought I would give it a go. I have never done art in any way shape or form, but something made me pick that leaflet up and decide to give it a go. I rang up and was asked to attend the following Tuesday. I went along and I was hooked. I was on that psychologist waiting list for 18 months before I was seen on a regular basis. Had I not have gone on this course I would have been left at home with no support or services offered whilst I was on this forever waiting list! Everyone else was a much better drawer than me, they all had previous experience and knew roughly what they were doing, I however was a blank canvas (which i discovered was to my benefit sometimes) I joined the full program of going to art therapy sessions and with the social aspect and the confidence from drawing something that resembled something that it was supposed to I started to feel more positive about life. Maybe it was worth ‘hanging on in there’ for. Each week I grew stronger and stronger, more confident and settled (if that’s the right word to use with bipolar/depression) I started to feel ‘well’ I had even cut back on some of the 21 tablets a day that I was on to help me feel ‘normal’ I was chatting to people and making friends and really enjoying life. I continued to draw and even started painting too. I was hooked. I was still coping. I had moments that tested me, when I felt I needed to go back on the medication because I felt I wasn’t functioning well without it. (having been on medication for over 25 years it was a huge step in itself to try and cut them all down, I was dealing with thoughts and feelings that I had been numbed from for most, if not all, of my adult life) Stopping all medications (which as of March 2014 I have been meds free for 15 months so far) was a huge huge step. I am realistic and know that some day I may need to go back on them, but for now I am coping and dealing with what life is throwing at me. I still suffer with depression and bipolar (and yes I think I will always suffer with it) but its learning to deal with it. To spot the triggers and almost talk yourself through things. I do talks about my life for the NHS (Creative minds) and recently did my biggest audience speech yet to over 300 people. The thought of speaking to over 300 people didn’t daunt me as much as the train journey to get there did. I know its not rational or easy, but then neither is mental ill health. I had plans in place to help me deal with the rush of people on a mission to get to work in the rush hour traffic. I prepared much more than the average person to deal with it. That’s what I have to do. I felt like I had conquered another ‘issue’ when I finally sat on the last train I needed to be on. Just as diabetics have to diet and/or inject, I have to plan. I do inspirational talks to service users and medical staff, I have been to Sweden to tell of my journey and I have spoke to over 300 people about my life. 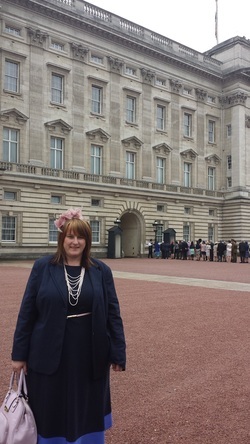 In May I am going to visit Buckingham Palace (I was nominated for my inspirational and my voluntary work) I couldn’t get out of bed just over 2 years ago, my daughter was my carer, now look where I am. I know the old adage if I can do it anyone can, seriously if I can do it then I have no doubts in my mind that anyone else has the ability to transform their own lives too. What have you got to loose? A poem I wrote when I was at my lowest. To wake is an inevitable tale. If it did not have to see my face. One that can get up and do the school run. What kind of life must that be? She is the life that tries to give. I know I live with it each and every day. Its day after day of misery and strife. Unless this life can cut me some slack. I cannot win, I cannot find. For now it will just have to be…..